I looked online for a recipe and they were all pretty much the same, here it is. 1. Pre heat oven to 175c and grease baking tin of your choice. 2. Mix egg, honey,peanut butter and oil in a bowl. 3. Sift the flour, baking soda and add the carrot. 4. Spoon mixture in baking tin. 5. Cook for 40 minutes. 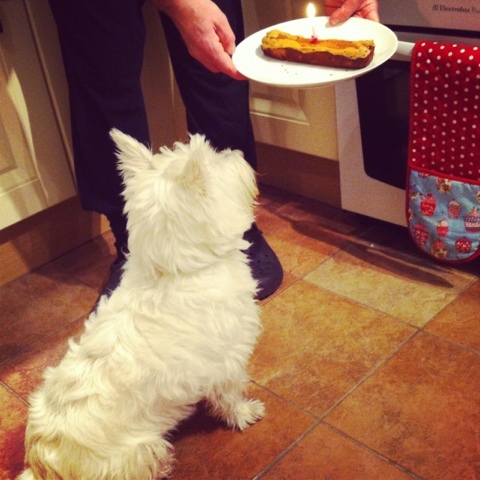 I baked my cake in a bread tin and divided it into 2 as its my mums dogs birthday on Thursday. 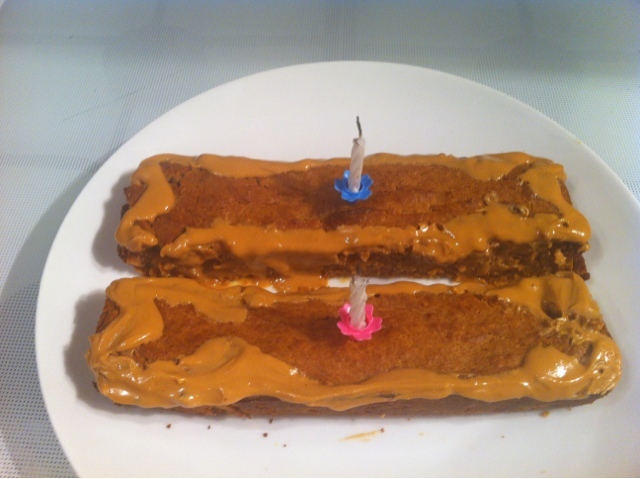 I edged the cake in peanut butter and shaped them like a dog bone .